Born in Amman, Jordan, Hadi Ghandour is a Lebanese/Belgian writer/director who grew up between Brussels, Beirut and the United States. After graduating from the University of Southern California, Hadi produced and directed numerous feature length documentaries across the United States that were broadcast on international television networks. His international career later took him to Dubai and Egypt, where he worked as Head of TV Production with the Maktoob Group. Hadi received his Masters in Film from the London Film School, and has written and directed several short films including Love After Sunrise, which played at numerous international film festivals and was awarded several prizes, including the Jury Award for Best Short Film at the United Film Festival in New York. 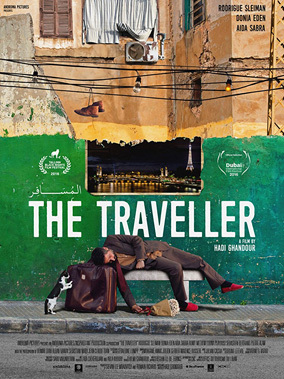 In parallel to developing his debut feature film, Le Voyageur Hadi is also co-writing the screenplay for director Ruben Amar's next film.